Very Good. 0321125193 Has moderate shelf and/or corner wear. Great used condition. A portion of your purchase of this book will be donated to non-profit organizations. Over 1, 000, 000 satisfied customers since 1997! We ship daily M-F. Choose expedited shipping (if available) for much faster delivery. Delivery confirmation on all US orders. New. Trade paperback (US). Glued binding. 680 p. Contains: Illustrations, black & white. 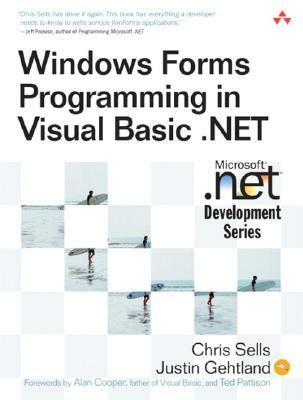 Microsoft .Net Development Series. In Stock. 100% Money Back Guarantee. Brand New, Perfect Condition, allow 4-14 business days for standard shipping. To Alaska, Hawaii, U.S. protectorate, P.O. box, and APO/FPO addresses allow 4-28 business days for Standard shipping. No expedited shipping. All orders placed with expedited shipping will be cancelled. Over 3, 000, 000 happy customers. New. 0321125193 Brand New Direct from the Publisher! Not overstocks or marked up remainders! Ships in a sturdy cardboard container with tracking!